Health is our most treasured possession. It does not last forever, yet most of us make the mistake of living like it will. It is not until we lose our health that we seek diligently to regain it. Sadly at that point, it’s most often too late, and it always has a cost of time, money and opportunity. Cancer is one of the most destructive illnesses facing the world today and it is an epidemic appearing at exponential rates. 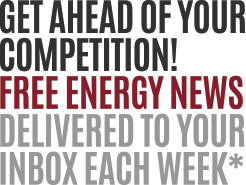 Our lifestyle is the foundation of a sustainable, healthy life. There are also genetic and environmental variables that come into the equation. So in the midst of a Cancer crisis we are forced to find solutions to Cancer that attack not only the illness but also find a cure with many variables in play. So what’s it going to take to cure Cancer? Researchers and Cancer Specialists are searching for answers worldwide. Some are working on a hypothesis; others are collaborating, others are in the midst of test trials, others are finding solutions in uncustomary ways. We are at differing stages of progress. We don’t have the cure for Cancer yet, so it’s an open-ended global catastrophe that’s calling for the resolution. Do you think that it’s about time? 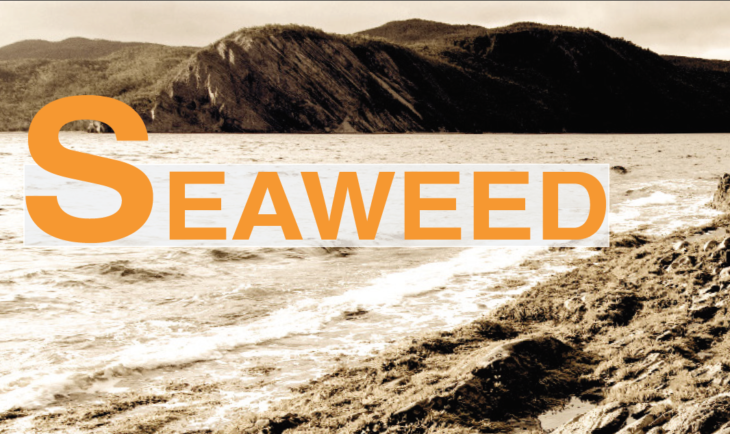 Nature’s Way – Does Seaweed hold the key? It has been said that the cures for our ailments lay in nature. Many medicines of the world have been derived from nature, and much more will come from nature in the future. 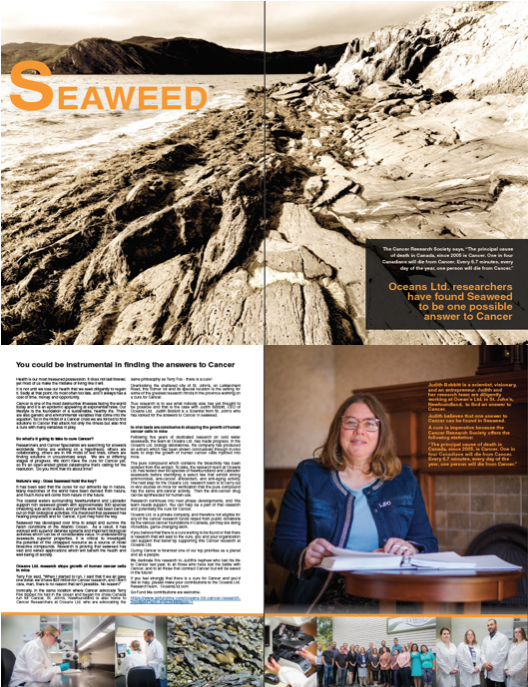 The coastal waters surrounding Newfoundland and Labrador support rich seaweed growth with approximately 300 species inhabiting sub-arctic waters, and yet little work has been carried out on their biological activities. 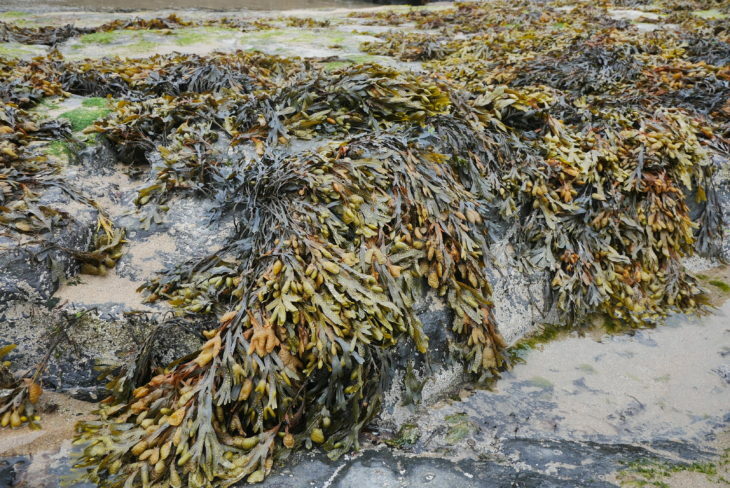 It is theorized that seaweed has healing properties and for Cancer, it just may hold the key. Seaweed has developed over time to adapt and survive the harsh conditions of the Atlantic Ocean. As a result, it has evolved with superior defense systems and important biological activities which can be of considerable value. In understanding seaweeds superior properties, it is critical to investigate the potential of this untapped resource as a source of novel bioactive compounds. Research is proving that seaweed has vast and varied applications which will benefit the health and well-being of society. Ironically, in the same location where Cancer advocate Terry Fox dipped his foot in the ocean and began his cross-Canada run for Cancer, St. John’s, Newfoundland is also home to Cancer Researchers at Oceans Ltd. who are advocating the same philosophy as Terry Fox – there is a cure! Overlooking the sheltered city of St. John’s, on LeMarchant Road, this corner lot and its special location is the setting for some of the greatest research minds in the province working on a cure for Cancer. 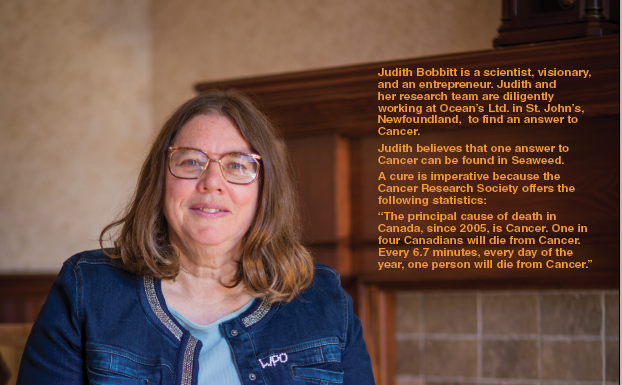 True research is to see what nobody else has yet thought to be possible and that is the case with Judith Bobbitt, CEO of Oceans Ltd. Judith Bobbitt is a Scientist from St. John’s who has looked for the answers to Cancer in seaweed. Following five years of dedicated research on cold water seaweeds, the team at Oceans Ltd. has made progress. In the Ocean’s Ltd. biology laboratories, the company has produced an extract which has been shown conclusively through in-vivo tests to stop the growth of human cancer cells injected into mice. The pure compound which contains the bioactivity has been isolated from this extract. 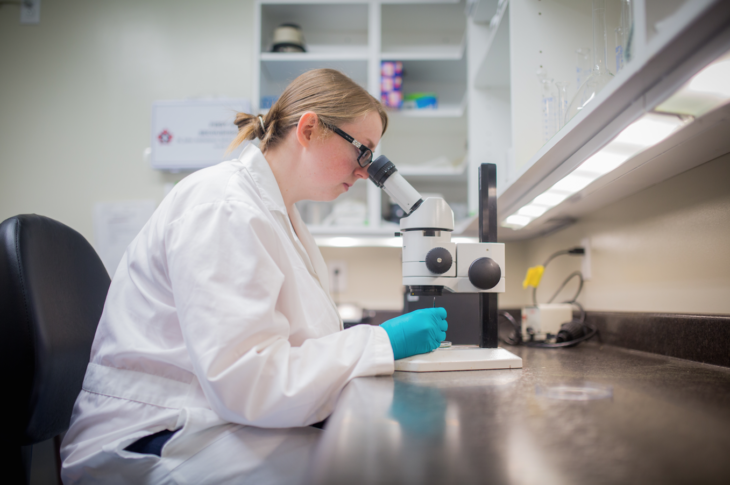 To date, the research team at Oceans Ltd. has tested over 60 species of Newfoundland and Labrador seaweeds before identifying a select few that exhibit strong antimicrobial, anticancer, antioxidant, and anti-aging activity.The next step for the Oceans Ltd. research team is to carry out in-vivo studies on mice for verification that the pure compound has the same anti-cancer activity. Then the anti-cancer drug can be synthesized for human use. 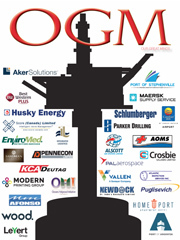 Research continues into next phase developments, and this team needs support. You can help be a part of that research and potentially the cure for Breast Cancer. 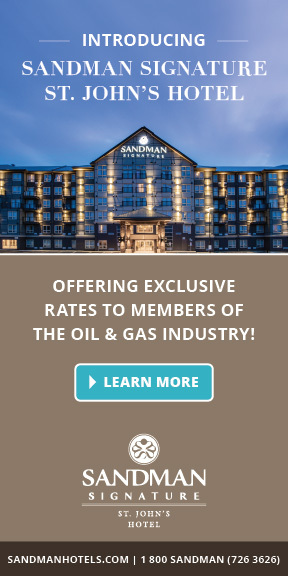 Oceans Ltd. is a private company, and therefore not eligible for any of the cancer research funds raised from public donations by the various cancer foundations in Canada, yet they are doing incredible, game-changing work. 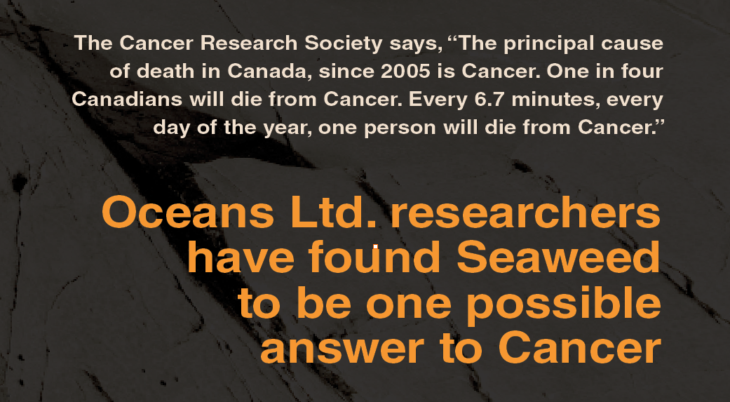 If you believe that there is a cure waiting to be found or that there is research that will lead to the cure, you and your organization can support that belief by supporting this Cancer research at Oceans Ltd. Curing Cancer is foremost one of our top priorities as a planet and as a people. We dedicate this research to Judith’s nephew who lost his life to Cancer last year, to all those who have lost the battle with Cancer, and to all those that contract Cancer but will be saved in the future!